A COURT in Argentina has indicted Justin Bieber for allegedly sending his bodyguards to beat up a photographer and take his camera equipment outside a Buenos Aires nightclub three years ago. Court clerk Soledad Nieto confirmed the decision to the Associated Press on Thursday. She said Judge Alberto Banos did not issue an arrest warrant and the Canadian pop idol can appeal the court decision, which was signed Wednesday and surfaced late in the day. Argentine photographer Diego Pesoa alleges he was chased down and beaten on November 9, 2013, by Bieber's bodyguards outside the INK nightclub, where the singer and his entourage partied during his South American tour. Pesoa also said that the bodyguards took some of his camera equipment. 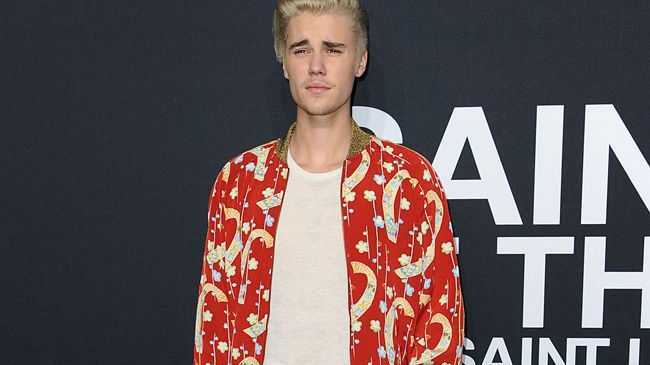 Bieber apologised on the same trip for defiling the Argentine flag on stage and got into trouble with police elsewhere during the tour for allegedly spraying graffiti in Brazil and Colombia. In June, Bieber said on his Twitter account that he would like to play in Argentina on his Purpose tour but "until the legal conditions change there I can't". Hundreds of his fans, known as "Beliebers", then marched in Buenos Aires carrying signs saying "Argentina Needs Justin" and "Right To Music", asking the judge to let the singer perform. Bieber has not returned to answer questions about the alleged attack. His tour goes to Latin America next year but no dates are published for Argentina.